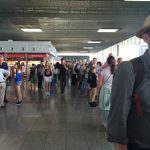 "terminal building is too small"
Not Verified | This is the worst European airport I have used for departures. I counted 7 airlines departing within the hours we were at the airport, approx 1500 passenger. The terminal building is too small to handle this number. Every one of these flights had passenger held in the terminal queuing on walkways 1.5 hrs in queue to board a flight. shop look OK,some food shop to buy snack and the shops had queues as well. No problems with arriving. 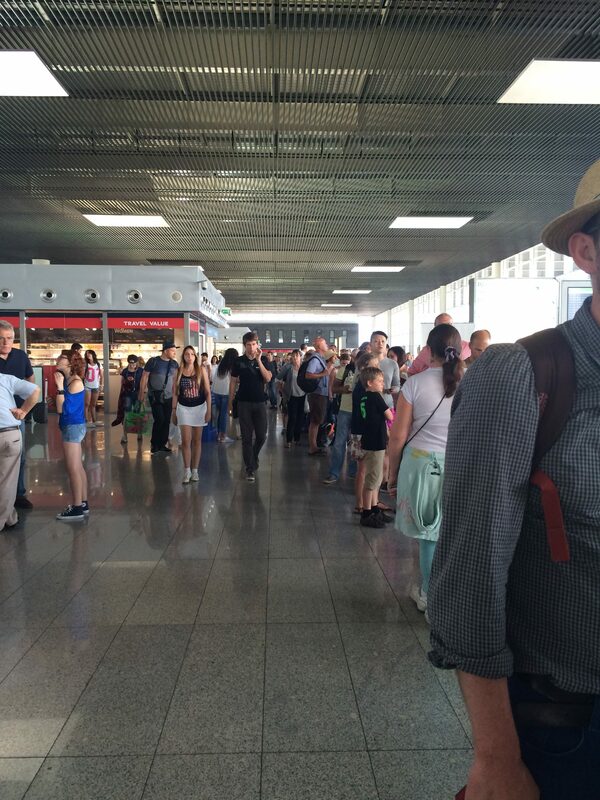 Not Verified | This must surely be the worst airport in Europe and much of the world. No seats, rain leaking through the roof of the departure bulding and not being cleaned up - I saw a woman slide and fall heavily. There’s an enormously long, and totally mysterious line extending the length of the departures building beyond the security check. No information is provide as to what this 200 yard line is for: amazingly it’s for passport control for departures. It takes an hour and a half to reach the control booths. Under no circumstances will I ever use this airport again. It’s a disgrace, an utter disgrace. "45 minutes for our baggage"
Not Verified | Just waited over 45 minutes for our baggage to come through - everyone of the Dublin flight very unhappy with the delay. Other flights came in after ours and their cases came through promptly. Had to ring my taxi company and advise that we were still inside waiting on our cases. Unacceptable. Not Verified | I had to wait in a queue for passport control along with other 300 people for hours. 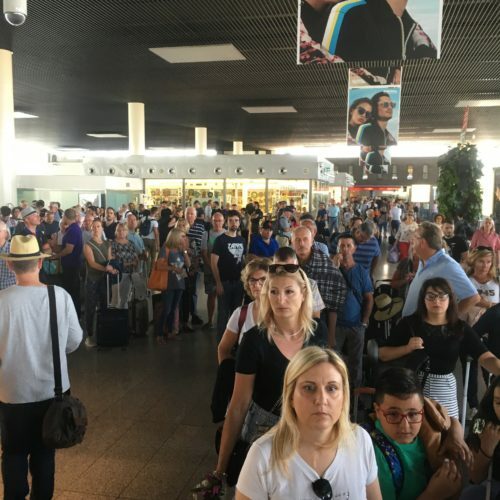 There was nobody working for passport control and everyone was actually waiting for someone to show up and start checking documents. Finally, after 1.5 hours, 2 men started checking the passports. After a while they decided to close again, although there were still many people waiting in line. There were no messages with info posted for the passengers. Nobody knew how long we were going to wait. I am never coming back to this airport. Such a humiliating experience. I do not recommend it. Not to mention lack of cleanliness, no water nor soap at the toilets. Exagerated prices for dutyfree, goods and drinks. 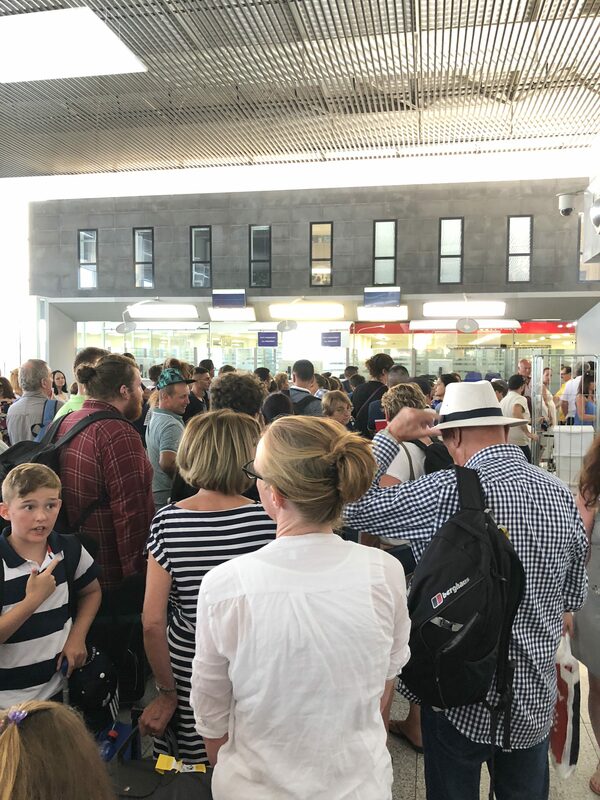 ✅ Trip Verified | As previous reviewers have stated, up until you get to passport control, it all seems okay, but then there is a huge queue and nobody at the desks. When questioned staff say ‘10 minutes’ but that has been the same answer for already 40 minutes. Restaurants consist of a rubbish snack bar with very few seats. Signs to a pizzeria lead you to a construction site. Absolute rubbish! Not Verified | An absolute nightmare, mostly because of its size. It is one of the most crowded airports I have ever travelled to. Stay away if you can. While agents do the best to assist you, there isn’t enough space to accommodate the number of flights and passengers. Checking in take more than one hour, renting a car more than two hours! 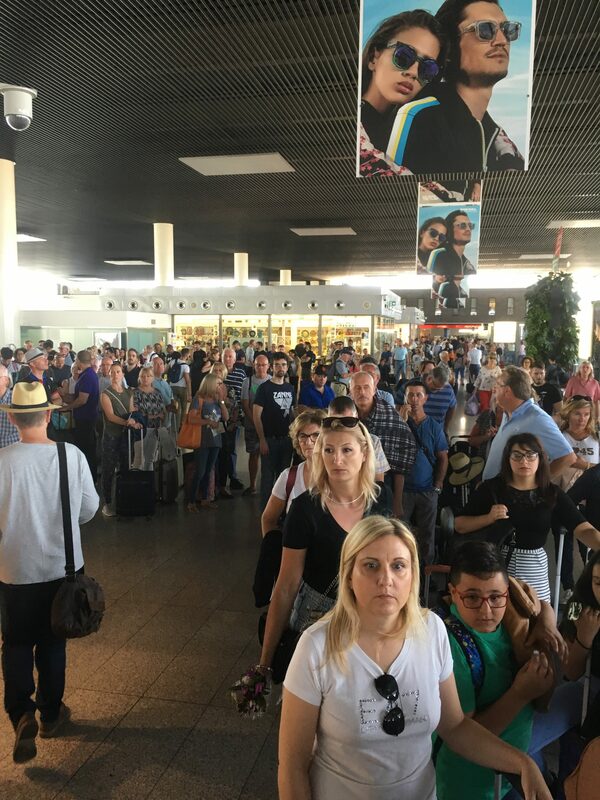 Not Verified | Very long queues especially for passport control at gates 19 to 22. Still had not opened just 50 minutes before departure. Overcrowded. Poor restaurants. Overall a very weak performance. I have visited 6 airports this year and this is by far the worst. Would not encourage me to return to Sicily. "the worst airport I've been to"
✅ Trip Verified | Seriously the worst airport I've been to in years. Long queue and then there was basically nothing to eat but sweets after the security. It was very crowded, we had to slide down and hide in a corner when we ate our very poor sandwiches. Never coming back. 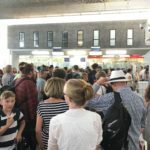 "long queue more than an hour"
Not Verified | We had to wait in a long queue more than an hour for the passport control. We have British passports and usually a situation should not be so difficult and stressful. ✅ Trip Verified | Worst airport ever. Check in desks use strict 2hr check in policy, going through security area was quick, but currently waiting for passport check to actually open. People are worried about missing flights, airport security staff seen laughing at front of the queue, and shop assistant advised us that it can only be opened up by the police. After 45 mins of no activity, the police have now opened passport control. However it appears there is only one person on now as the rest of the passport security staff have now left. Complete farce and not good for people who require assistance, refreshments and seats. To be honest, giving the heat and simmering tensions and distinct lack of any communication, anarchy may ensue. The one woman who was on duty has now given up the effort. It may be due to a police incident on the other side, but this is not a way to treat customers. Even the airport security staff are getting antsy as the queues are backing all the way back to security gates now as well. And if it is a police security incident, it means something has failed at the security search. I don’t think anyone would mind it being a security incident if we were actually told what’s going on!